If you are doing home improvement projects, you may be wondering if you can save money by taking on some of them yourself. The answer to your question is a qualified yes; you need to be well-informed before deciding whether or not to handle your work by yourself. Reviewing the information presented below can add significantly to your supply of home improvement knowledge and equip you to make better decisions. Take a sponge to your drywall! A sponge works as an effective tool to replace sanding. Using a wet sponge can do as good of a job as sanding can. It’s worth the investment to learn since you won’t have to inhale all that dust. Your home is a reflection of you. 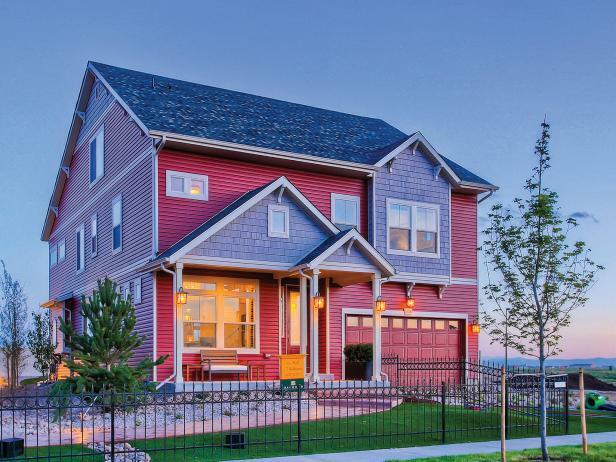 Practically any homeowner can handle some home improvement projects on his or her own, and the cost need not be exorbitant. There are times, though, when an expert is necessary, and here you’ll find advice on how to know when to call in a professional. Chimneys are designed to work properly and safely for many years. However, as time goes on, it is not uncommon for specific areas of your chimney to start to degrade. It is important to maintain a properly functioning chimney in order to prevent every family’s nightmare, a house fire. 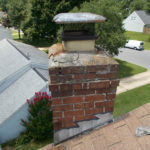 Here are a few key things to look out for when inspecting your chimney. The firebox is the place where the actual fire burns. If you notice rust anywhere within the firebox, that means that there is some sort of moisture getting into the chimney and is possibly deteriorating the structure of the chimney. A deteriorating structure allows heat to escape into places not designed to handle the heat. A professional would be able to examine the rust and chimney to inform you whether or not your chimney structure is deteriorating. The chimney crown is the external, top part of the chimney. It is what keeps water from leaking into the brickwork and eroding the structure. A chimney crown can be damaged from heavy rain, hail, snow, or continuous freezing and thawing of the brickwork. 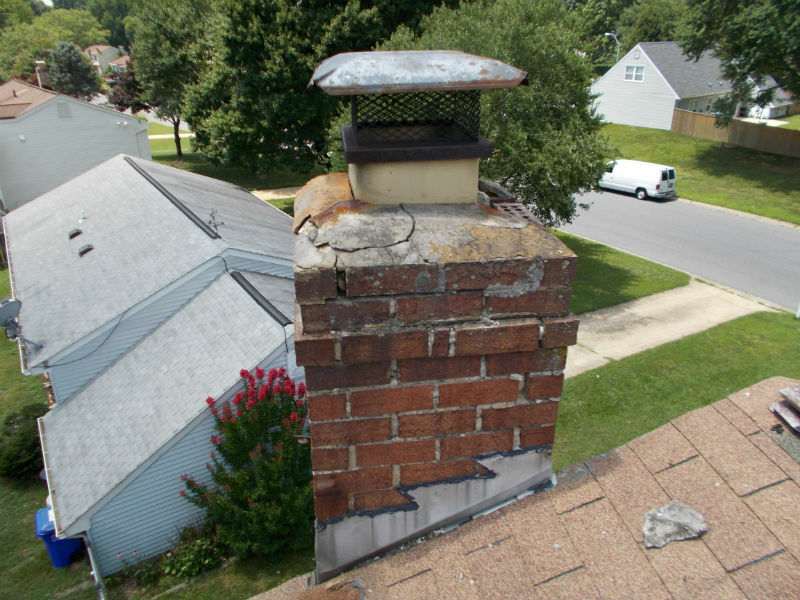 If it is damaged or simply cracking, then the chimney is at risk of moisture seeping in and weakening the structure. A routine chimney sweep would allow a specialist to take a proper look at the damage and help you repair it. The flue liner in your chimney is designed to protect combustible materials from the heat your chimney produces. High-quality chimney liners are designed to function under extreme heat for years, however, they do begin to deteriorate after some time. This leaves the chimney weak and unsafe. During your annual chimney sweep, a certified chimney technician is to go through every inch of the chimney flue with a camera to ensure it’s stability. Mortar joints are the spaces between the bricks of your chimney that are filled with mortar. Moisture is again the enemy when it comes to the safety of your chimney. When mortar joints are cracked or crumbling, moisture can leak in and deteriorate the seal, allowing uncontrolled heat past the brick and into uncontrolled areas. Crumbling mortar joints also puts the whole structure at risk of collapse. Although fire is the biggest threat a damaged chimney poses, there is another danger to be aware of. If you see discoloration on ceilings or walls near your chimney, that likely means that your chimney is leaking moisture into your home. This can lead to rot in the structure as well as harmful mildew. It is important to be aware of this danger, regardless of whether you regularly use your chimney or not. If you are looking for any sort of chimney repair Seattle WA, be sure you find a chimney repair specialist that is certified, licensed, and bonded. A chimney is a beautiful asset to any home. It is of vital importance to take care of it with regular chimney cleaning and inspection. That is to ensure the safety and security of your home and family. So you’ve finished the work on your site and it is time to clean up the site before your supervisor comes and inspects the job. What are the next steps? There are many things that can be done without machinery and then there are things which will require some machinery for cleanup. Before the final cleanup can be done on the property everything that can be moved back into its place ought to be returned to its normal storage area. IF there is any doubt about where a piece of equipment belongs when not in use the supervisor can be asked or if the property manager is on the work site they can also offer some practical instruction. If you have xtra help you can ask them to chip in and put the heavy equipment back into their storage areas. Machinery with wheels need to be placed back into their parking places. 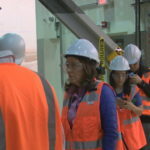 Smaller machinery that can be rolled or pushed can also be placed back in their storage areas, where they will not be in the way of the cleaning machines when it arrives. 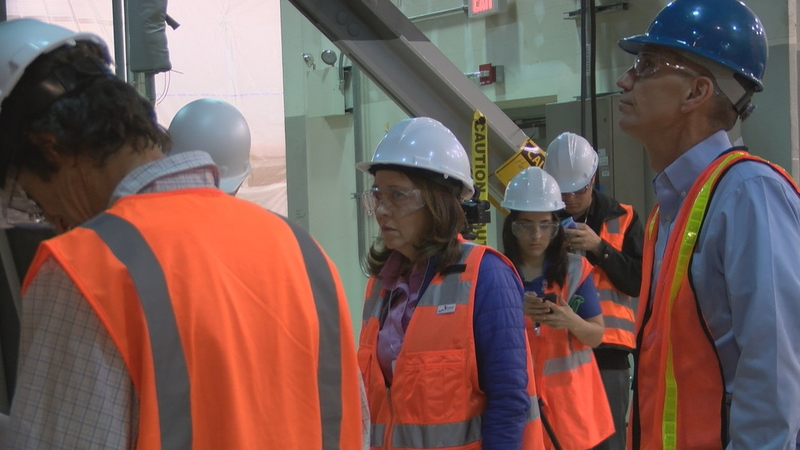 Now that the heavy and light machines and vehicles have been returned to their place a thorough inspection can be done regarding the rented equipment to be returned. If there is no equipment to be returned you are ready for final spot cleaning. The final spot cleaning has to do with the concrete areas on the work site. This final phases can only be done with a pressure washer, especially for the removal of oil stains, chemicals, paints, grease, dirt, grime, and other removable waste materials. There is an industrial protocol understood that there are certain things that should never be washed with an industrial washer. You will need to contact a site that rents industrial washer. For example, if the property you are cleaning up for final inspection is in Dayton, perform a internet search for any Concrete Pressure Washing Dayton Oh service and the first page of search results should offer you any excellent choices. What you are looking for is a company with good reviews and offers equipment that is dependable, at a price fitting your job cleanup costs, and can either be delivered or picked up without too much hassle on your site. Once your equipment is delivered and you’ve cleaned up the work site, then it is time to contact the site property manager or the job supervisor to obtain final clearance on your work. Foreman who are responsible for the site cleanup will make one last walk around the property before the site supervisor arrives. Considering that everyone did their assigned jobs there should be nothing to fix, or tidy up. After you have walked the property and lot and everything looks according to your expectations you can take confidence that your checklist is complete and ready for the supervisor to sign off on work completed. In any sector, the experience of an individual is what matters most. 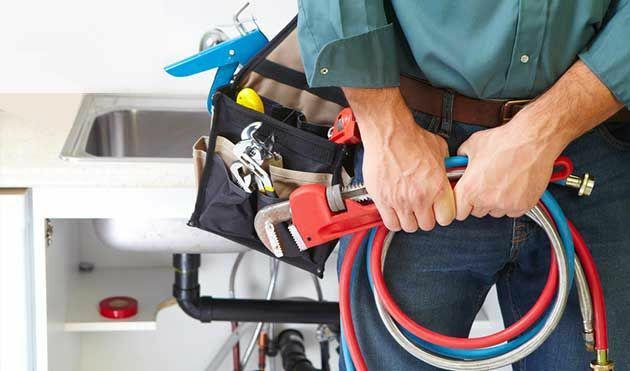 A client can easily confide in an experienced plumber. Furthermore, they have more knowledge and skills on how to handle different plumbing issues such as water softener repair Clearwater fl. They can also offer some guidance to the clients easily since they are knowledgeable about their line of work. If the client is on the construction phase, they can also benefit significantly from the assistance that the plumber may offer. In the plumbing sector, every professional plumber must have a license. Additionally, they can go ahead and register with certified bodies that are meant for plumbers. All these requirements are meant to showcase that there is legitimacy. People can go ahead and confirm the validity of these credentials through the state’s online database. Also, the database can help to ascertain that there is no impersonation and the license is still valid. When a license expires, the plumbers must apply for a new one. There are times when a plumber or client may breach the agreement. To avoid such challenges, it is good to have a contract that has been signed by both the client and the plumber. The details about the payment plan, the cost of the project, the terms of how to terminate the contract, among other things should be indicated clearly. Also, the client and the plumber should also read through the contract to make sure that it is satisfactory and no details are missing. In case one party breaches the agreement, the contract will be presented before an attorney and the issue will be settled amicably. Some of the challenges present include the client failing to pay the plumber the specified amount. On the other hand, the plumber may also use substandard equipment which may be contrary to the initial agreement with the client. Professionals who offer services such as plumbing are exposed to different risks such as being physically injured. Since they must seek medical attention, it is advisable to make sure that they have an insurance policy. After going to the hospital, the insurance company can pay for the treatment offered. Clients must always ascertain that an insurance policy is present to avoid being forced to pay for the medical bills of the plumber in case they are injured while offering their services. 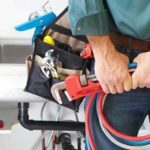 During the hiring process, there are many factors that clients should consider before giving the plumber a go-ahead to handle their project. Some of these factors have been outlined above. Other factors that may also be important include seeking references, looking at the plumber’s work ethics, gauging their reputation, and even asking for quotations from different plumbers. In the United States, a number of households currently are unprepared to experience high temperatures of the extreme heat. Surprisingly, knowing that there can be extreme temperatures during the summer many households still fail to properly prepare their homes from reaching dangerous high heat. What many people fail to think about is how the environments can actually influence their health and even disease. According to Sanford Research, experts strongly believe that not every illness or disease is caused by genetics and actually approximately a quarter of the diseases that you can possibly become ill from, as well as injuries are mainly caused by environmental factors such as temperature. There are also a number of studies that show how being in an uncomfortable temperature can actually cause a number of other health issues such as a higher risk for heart disease, higher risk for heart attack, obesity, high blood pressure and many other illnesses that could arise. If you are looking to experience a fun and exciting summer, the you may want to consider getting an AC unit installed, in order to bring only positive influences on your health. Surprisingly, having a quality air conditioning system in your home can provide you with a number of benefits for both your physical state and also your psychological state of mind. 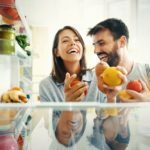 According to Hello Magazine, some of the greatest benefits to the use of a cooling system include: improves your comfort level for both leisure and work, can improve your job performance, can result in an increased level of physical and also intellectual activity, can you reduce the presence of parasites and insects, can reduce the risk of dehydration and can also help to remove any external allergens from the environment into your home, lastly and most importantly it can also improve your overall quality of air in your home. As long as you are properly maintaining your air conditioning system, you should be able to benefit from all of these incredible advantages. Many people fail to think about how their environment can actually influence their health. There are also a number of homeowners who are not aware that there are a number of consequences you could experience from not having a proper cooling system in the home. If you are looking to experience a better overall summer, then you may want to consider contacting a professional HVAC company in order to improve the efficiency of your air conditioning system. Take time to search online for any air conditioning maintenance services Zachary LA. From here, you should be able to come across a number of professional HVAC techs that are more than willing to come out to your home to give you a hand. Getting a professional can help you benefit greatly. Not only will you have a good working ac unit in your home, but you will also end up saving money due to your ac unit being more efficient. Find your nearest HVAC tech today in order to begin benefiting from your cooling system. When you own your own home, you need to pay close attention to the smallest problems that you see if you want to minimize the amount of money spent out. 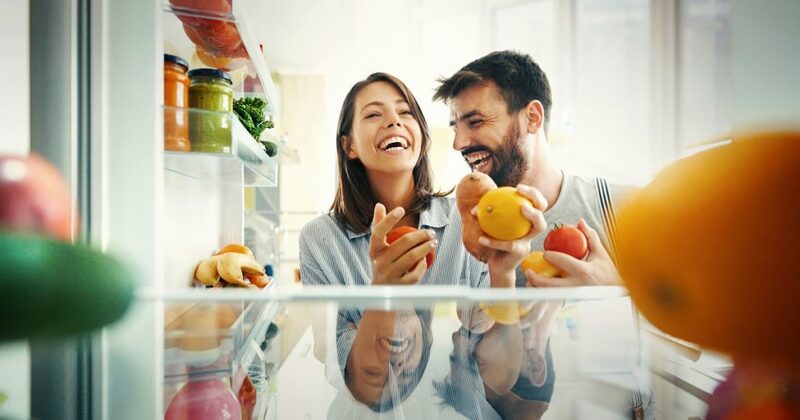 By paying attention to the small things before they grow bigger, you can save time and money in paying for problems that can easily escalate into very costly expenses. Regardless of the problems that you experience, there are also some that are considered to be the more common types of repair jobs around the home. Typically, one of the more commonly known and seen is related to the garage door. Because of the working parts that must stay in good functional condition for them to work properly, these are parts that can be worn out through normal wear and tear. 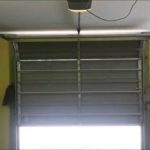 Hence, for those of you who are interested in the 3 most common types of garage door repair sterling heights mi, here is the list and a brief synopsis of what they entail. Even though many family members will find that some repairs are not really that complicated to fix, they are still common issues that can appear at any time. For instance, one issue of concern that normally gives a family significant problems and concerns is the weather seal. While this seal may appear to be insignificant to replace, it is not for aesthetics and good looks only. Instead, this seal has been designed for both the cold and hot weather since it helps to keep the cold and hot weather inside when it is needed. For instance, if you do not want to lose the cold air from your air conditioning system, you need to make sure that the weather seal is replaced correctly so it will have the proper insulation. The weather seal is also needed for other reasons too including keeping out the dirt and pests that can become very annoying in certain areas of the garage. In addition to homeowners replacing the seal to keep out dirt, pests, and cold or warm air, there are other problems that require replacement repairs in a garage door. For instance, if the spring on the garage door does not work properly as it should, you will need to see if it can be repaired or replaced. Normally, if the spring is broken, a spring will need to be ordered for the door. Without the right spring replacement, the family will find that the door is hard to open up and difficult to let down. If you want to know if you are having problems with a part that needs to be replaced, you should check out the cable. 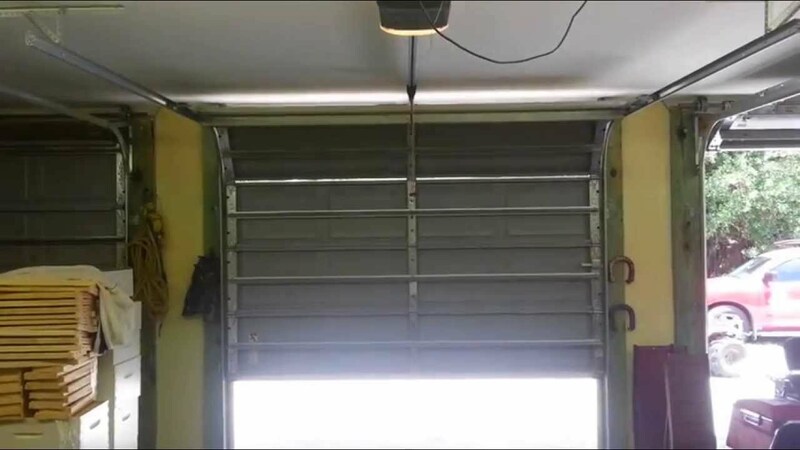 A garage door cable replacement is often required when the garage door itself is hanging in an awkward position. Or, the owner of the home may find that the garage door will no longer shut completely as it should but will only close half the way.